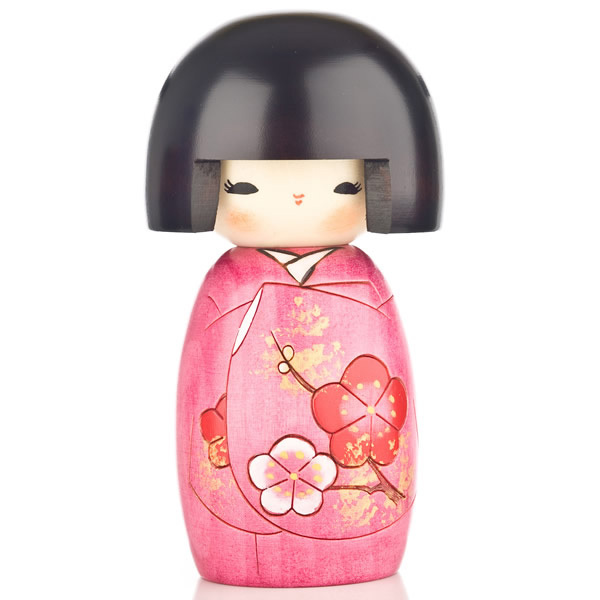 With her floral kimono, pretty lashes and blushing cheeks, the Pink Blossom Authentic Wooden Kokeshi Doll is the perfect gift for a special woman in your life. 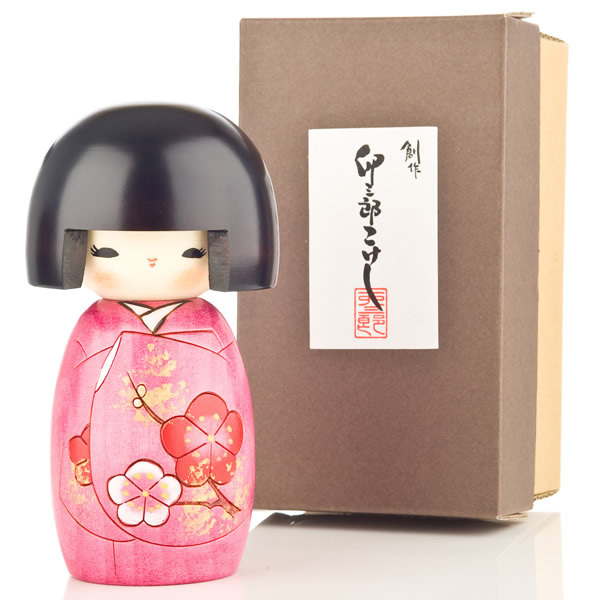 Made in Japan, this doll is beautifully crafted and intricately detailed. If you would like to purchase a black wooden display base for the Pink Blossom Authentic Wooden Kokeshi Doll, the medium size is spot on. 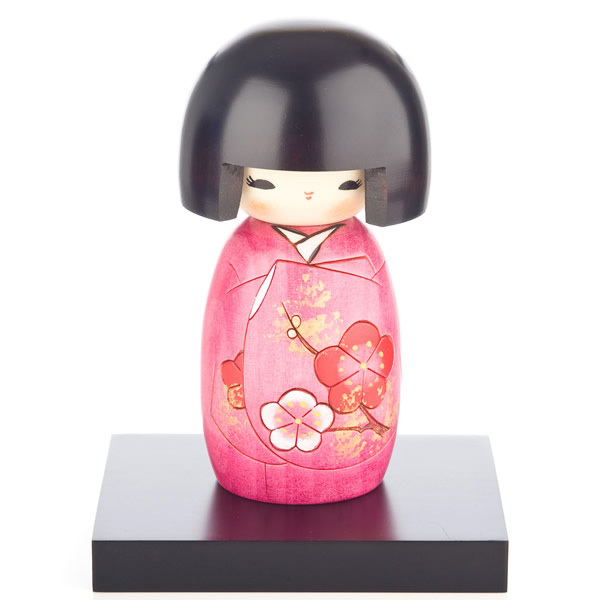 Add the Pink Blossom Authentic Wooden Kokeshi Doll to your basket, selecting the FREE gift wrapping option if desired, or come to our showroom today. Dear Hiromi, I have just received my order. 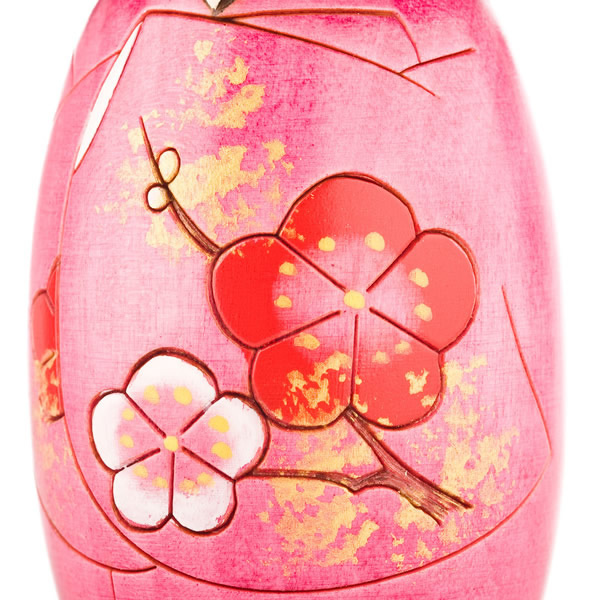 Every single item (including Pink Blossom Authentic Wooden Kokeshi Doll) is more than BEAUTIFUL!!!!! I love all three of them, and will enjoy using the clutch bag and the glasses case (my glasses are already inside the case and in my bag, and the package arrived 2 min ago!!!!). Thank you for making my day, and for having such a wonderful site. :-))))) I’ll definitely come back for more! There’s a fantastic kimono I’ve seen, and will order it as soon as I come back from my holiday to avoid delivery issues during summer months. Thank you over and over again. Simply gorgeous! Fantastic doll, the detailing is wonderful. She is so bright and pretty, looking at her cheers me up!